Granted, I’ve only spun one braid of Falkand to date, and it isn’t quite finished yet. But still, I love Falkland to distraction. 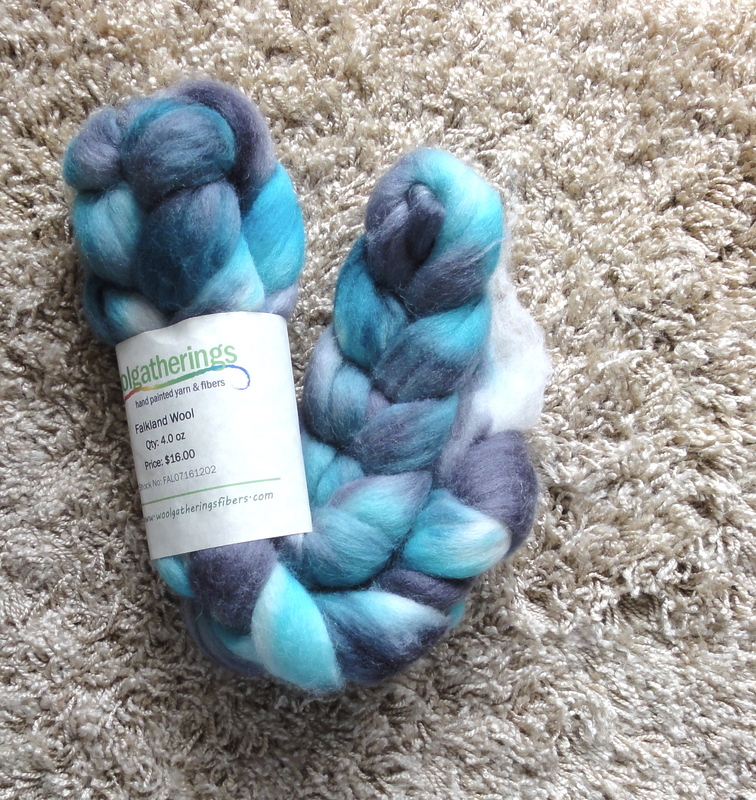 I’ve added a new braid of Falkland to my growing stash of spinning fiber. I bought it from Woolgatherings on Etsy. The colors are gorgeous, ranging from light to dark turquoise-ish blue to light to dark purplish gray and they remind me of a plaid skirt I had back in high school that I loved more than life itself. 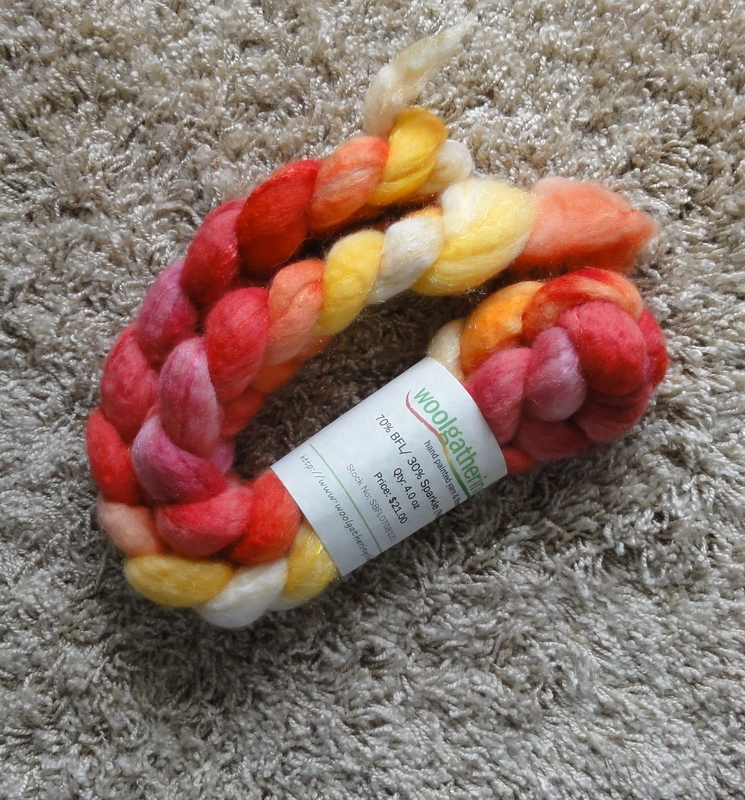 This entry was posted in Spinning and tagged BFL/Sparkle roving, Falkland roving, Woolgatherings. Bookmark the permalink. All three fibers are beautiful. 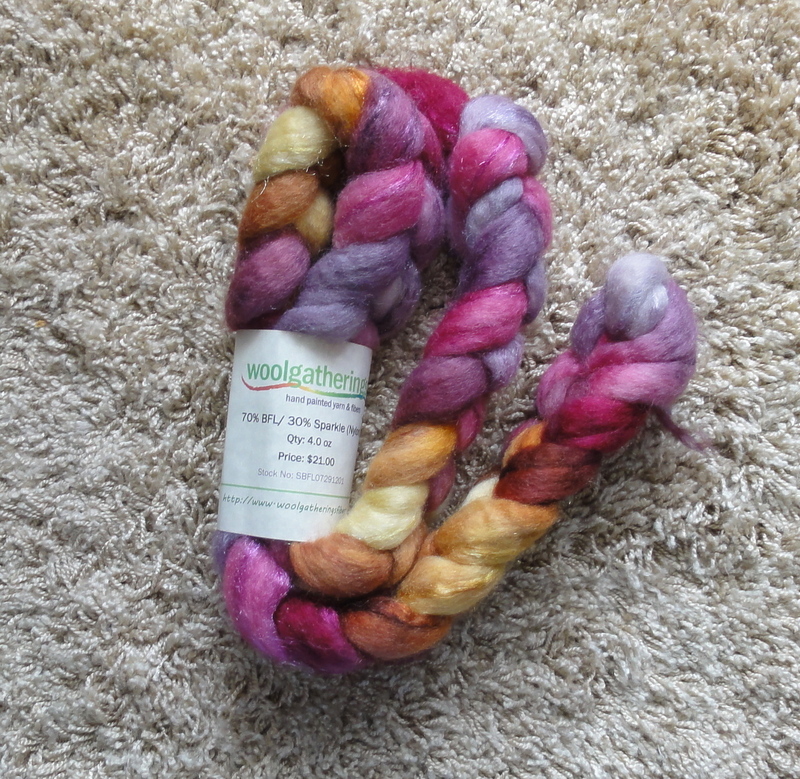 I haven’t spun Falkland or BFL. Looking forward to seeing your spinning progress. Thanks for a tip on your favorite source of Falkland wool on Etsy. I’ll have to check them out.